Set of 4 individual serviette holders with a serviette. It is ring-shaped, with a flat lower part, so that the serviette holders always stands still, showing the Osborne bull silhouette. 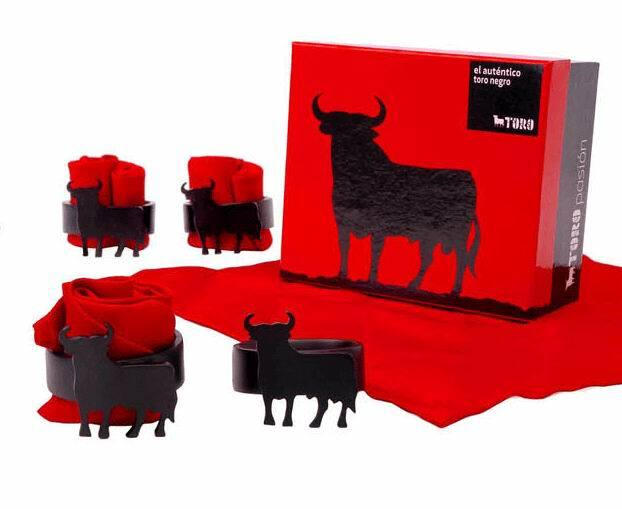 These are the perfect serviette-holders to decorate your table on special occasions, such as a typical Spanish meal. It is a very bull-fighting style accessory. It comes in a very beautiful box, with a red cover and the Osborne bull silhouette in black.